In today’s ever-connected world bursting at the seams with endless content, your business needs something much more impressive than a promo film. You need effective video that is built on strategy and purpose. Trust me – I wrote the book on video. 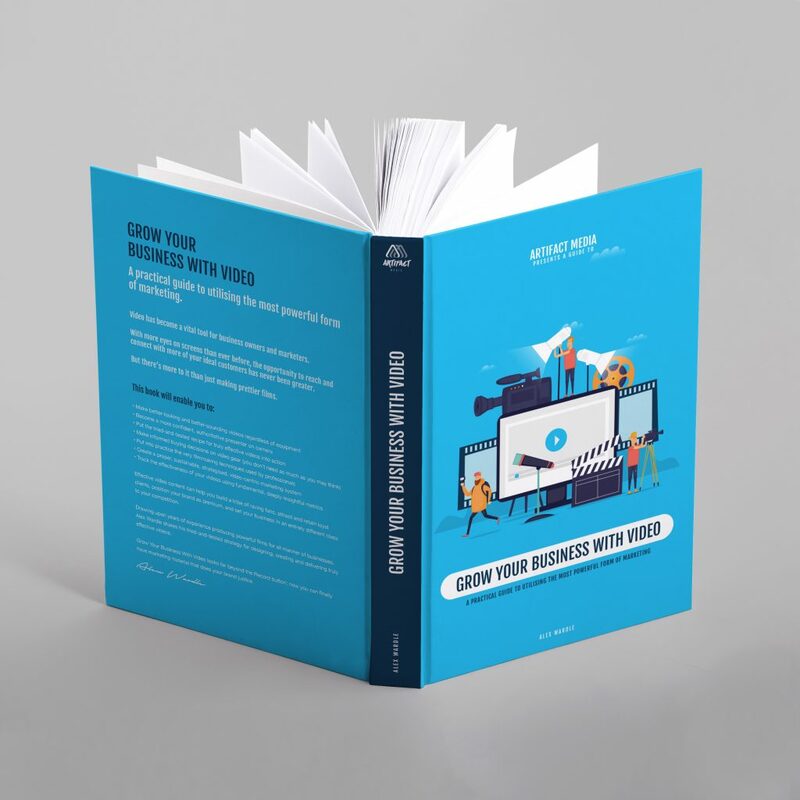 After contributing to the successes of many businesses using effective video content, in 2018 I wrote my first book: Grow Your Business With Video. There’s nothing I love more than seeing business owners and marketers getting the attention, engagement and appreciation they deserve as a result of having premium video content at the wheel of their marketing machine. And in turn, it’s incredibly satisfying to see them reaping the rewards of such success – more fans, more sales, and a business that they love to be a part of. Grow Your Business With Video gives anyone with a drive to make their business remarkable a roadmap for utilising truly effective video content. And that’s what Artifact Media’s all about. Extracting maximum value from video. The many and varied people you see in the video above are reaping the benefits of systemised and optimised video marketing strategies. They’re putting high-quality video content to work in their business – it serves a purpose, and has a job to do. Their videos bring out specific, measurable results. They’re tailored precisely for a defined audience. And they always put the viewer’s interests first. Consistency is key – that’s why we created our “off-the-shelf” Video Production Programs. These packages are based on our previous, real-world projects that have proven to be hugely effective for the business in question. They treat the video production process as a campaign designed to bring a real return back to your business – it’s much more than just showing up and filming a pretty video.